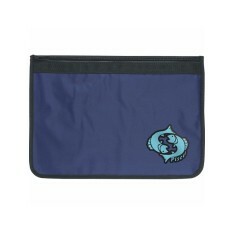 Keeping all those important documents crease free and protected from the elements has never been easier with a promotional Document Wallet. Slimline and suitable for slipping into your briefcase or a box that is great for storing any and all of your chunkier important documents, we have a wide range to choose from. 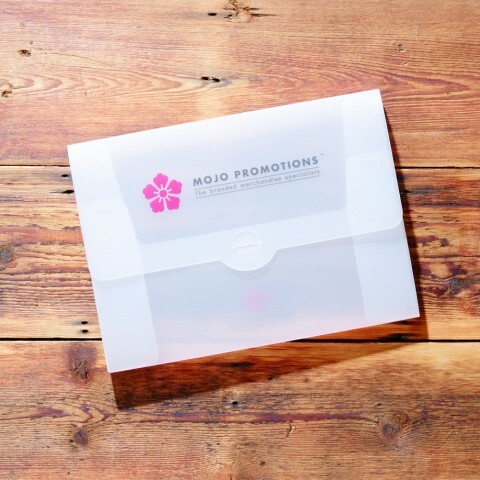 Personalised document wallets are ideal for handing out company informations at exhibitions or events all the way to handing over valuable documents to customers such as mortgage information or contracts so their documents are easy to find. 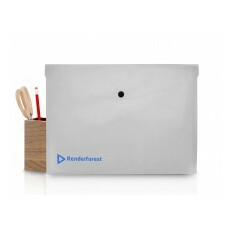 Clear PVC, nylon or sturdy custom printed polypropylene boxes, we have a great selection of branded document wallets to suit any occasion. 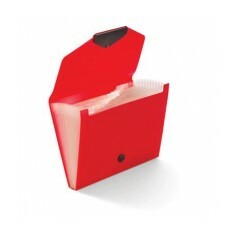 A personal favourite here at MoJo is our personalised Polypropylene Conference Box which comes in a variety of sizes. 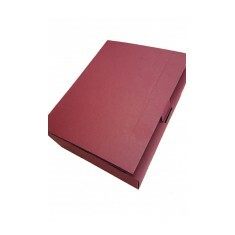 Made from a sturdy 750 micron polypropylene, this box is great for transporting any hefty important documents and has a secure tuck closure to keep the contents safe. 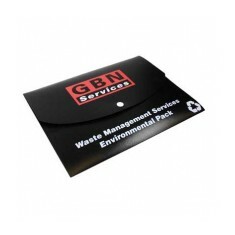 When you’re in need of a slimmer version, the custom printed Card Document Wallet has an outstanding branding capability and is great value for handing out important documents or information packs at events. Have a browse through our selection and if you have any questions, give our sales team a call who will be happy to answer all of your queries. Clear PVC material. Thumb cut for easy opening. A4 size. Large branding area to front. Fits A4 size. 200 micron polypropylene. Gloss finish. 4 colour choices. 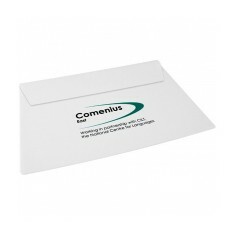 Keep your documents together and smartly presented with our Flexible PVC docum.. Present your literature in an alternative way with our 350..
Keep your documents organised with our custom printed Zipped Document Wallet. 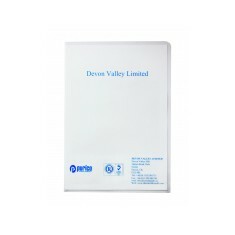 ..
350gsm card. Matt or gloss lamination. 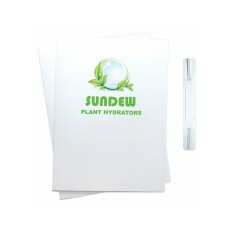 Printed full colour to outer sides. A4 size. 500 micron white or frosted polypropylene. Self tuck closure. Sturdy polypropylene material. Branded below front fastening. Expandable pockets. 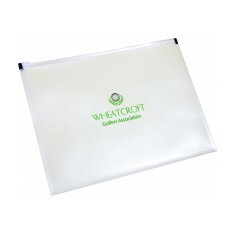 A4 document wallet made from recycled UK waste polypropylene. 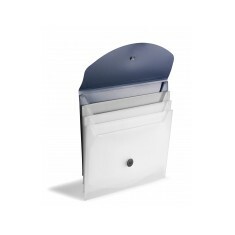 Manufactured in ..
Keep your documents safe and in order with our lightweight.. 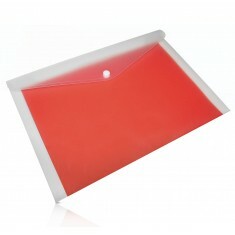 File with 12 dividers, polypropylene material. 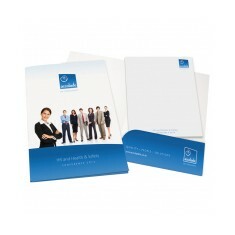 Document wallets made from a soft flexible material. 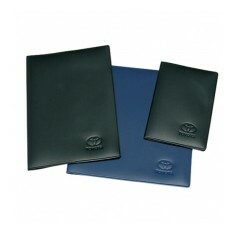 Available in black or blu..
Keep on top of your paperwork by keeping it in our persona..
200 micron polypropylene. Perfect for keeping A4 paper. Comes with metal zipper. Range of sizes available. 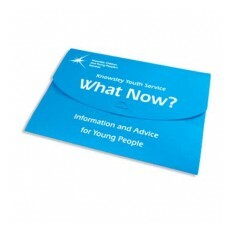 Full colour print as standard. Sturdy corrugated card.